MTN Uganda has lodged a formal complaint with the Judicial Service Commission (JSC) in Uganda against the Chief Magistrate of the Buganda Road Magistrates Court, Sylvia Nabagala in a statement issued by MTN Group Corporate Affairs. MTN Uganda expressed grave concern about the magistrate’s professional misconduct, in her contradictory rulings and disregard of due process. The complaint notes that the magistrate issued summons for the Directors and Executives of MTN to take a plea, yet the court record has no formal charges and the said summons were not reflected in the court record. It is further noted that the summons are dated 7th November 2012, a day after the same magistrate had transferred the case to the Director of Public Prosecutions to investigate the allegations. 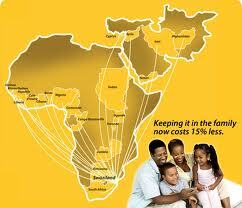 Sources from Reuters reported that MTN Group CEO Sifiso Dabengwa and 12 officials, including the chairman and CEO of MTN’s Ugandan unit, were ordered to appear in court on December 12, where they will face charges of tax evasion, conspiracy to make false customs declarations and conspiracy to evade taxes, according to a November 7 summons issued by the Buganda Road Court. International media had widely published articles reporting that summons had been issued against MTN Group CEO and directors to appear in court. MTN states that it was not aware of the issuance of the said summons and when their legal counsel checked with the court following the press articles, they learnt that the summons had been strangely extracted from Magistrate Nabagala by private lawyers who had earlier been ordered to hand over the matter to the DPP. According to the complaint to the JSC, MTN lawyers, together with the Resident State Attorney, immediately sought audience with Magistrate Nabagala who confirmed the issuance of the summons. A perusal of the summons shows that, although the order to issue them was made on the 19th November 2012, they were dated 7th November 2012. There was no charge sheet on the record or a record of proceedings before her between 6th November, when she pronounced her ruling in an open court with counsel for all parties present, and 19th November, when the order was supposedly issued. “For the Magistrate to have allowed that obviously ill-intentioned private person to obtain criminals summons in the manner she did, thus affording him the opportunity to have the same published to the world, knowing the negative consequences that portray, demonstrates gross recklessness and absolute indifference against our client.”, the complaint states. 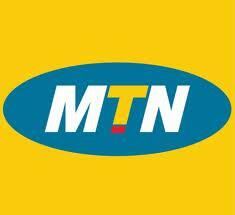 Reuters reports that MTN Uganda had previously denied the charges, saying they were initiated by a former employee sacked on allegations of theft. The alleged complainant, Mr. Naphtal Were, was already facing charges of defrauding MTN Uganda, USD5m as well as attempted fraud of UShs. 600 million from MTN Uganda and in the process of searching his home, the police found stolen MTN property-11 solar power inverters, with an estimated value of UShs. 140 million. “Through his lawyers Naphtal Were initiated a private prosecution against the Senior Management and Directors of the MTN Uganda Board and applied to court to issue a warrant of arrest. It should be noted that the private prosecution initiated by Naphtal Were was brought against the MTN Global Chief Executive and the Board, who are not resident in Uganda, for allegedly making false declarations to the Ugandan Revenue Authority (URA) . Also, the case was brought against MTN Uganda’s (nonexecutive) Chairman, and three senior executives none of whom deals with customs declarations to URA. Customs declarations are made by clearing agents, and not by the MTN Global Chief Executive or the MTN Board, who reside abroad, or by the MTN Uganda Chairman or senior executives, as this is a function of clearing agents which are independent companies. Safaricom to lay own fiber…. Women in Private sector businesses, what do we need?